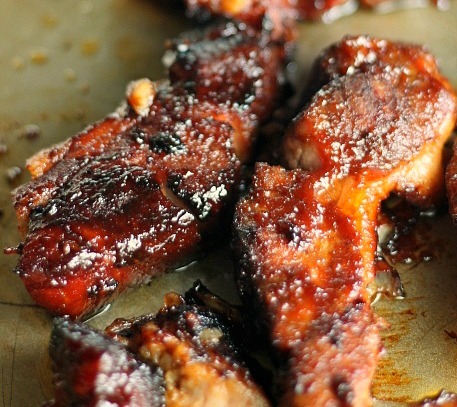 I love recipes for dinner that don’t require lots of pots and pans. 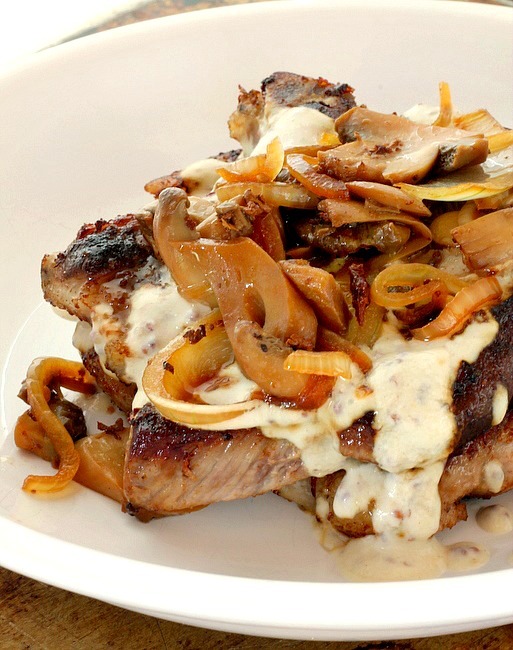 Pork Chops in Sour Cream Sauce is made in a saute pan. 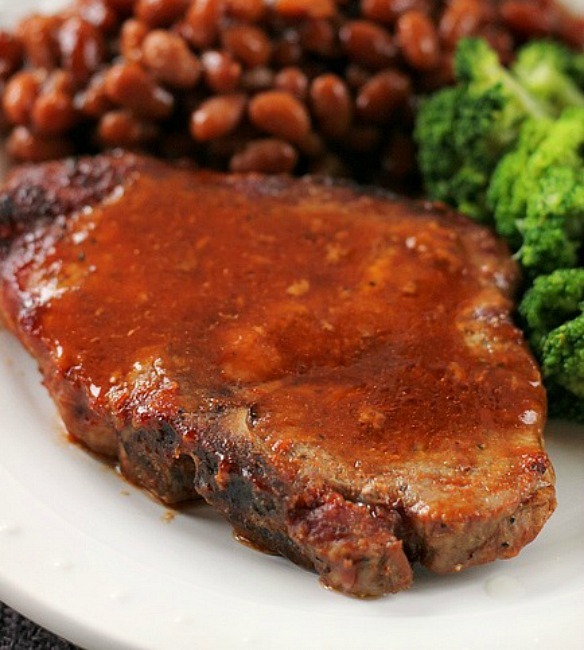 It’s not only a delicious meal, it’s also an easy meal to make. 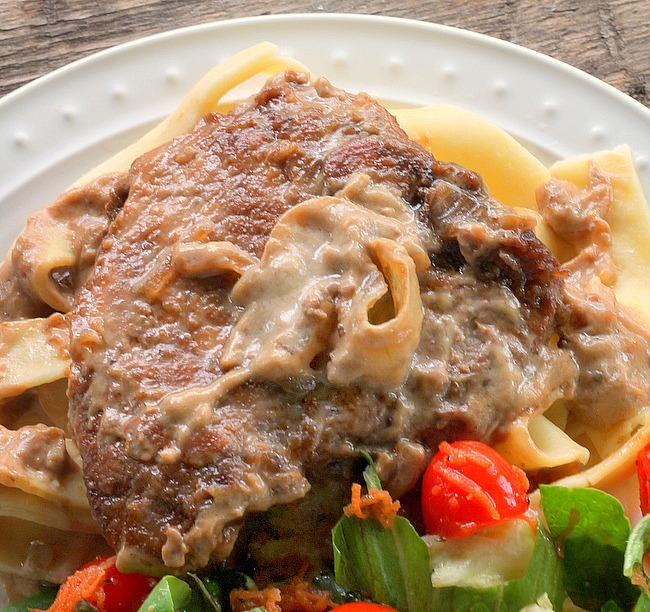 This pork chop dinner is reminiscent of a stroganoff. I served it over egg noodles with a salad on the side. Paul loved it so much he ate three of the four pork chops I made! It doesn’t get any better than that, it’s a definite man pleaser, Enjoy! Add 2 Tablespoons flour and paprika to a small zip lock plastic bag. Add the salt and peppered pork chops one at a time and shake until coated. Place 2 Tablespoons of oil to a saute pan, cook the chops until no longer pink inside. Add the onion,1/3 cup water, brown sugar, soy sauce, minced garlic and mustard to the pan. Cover and simmer 10 - 15 minutes. Remove the chops to a plate and keep warm. Combine remaining 1 Tablespoon flour and 1/3 cup water, stir until smooth. Whisk into the skillet drippings, cook and stir 2 minutes or until thickened. Turn the heat off, add the sour cream to the pan. Whisk to combine. 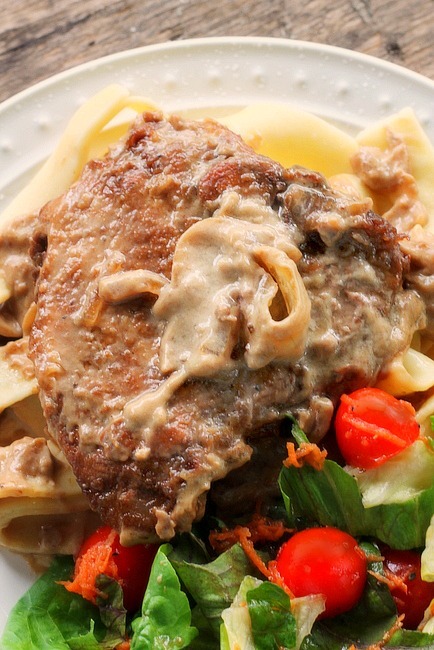 Serve over pork chops and noodles. If the sour cream sauce is too thick, add a little more water to thin slightly. Hi Bunny’s Warm Over. 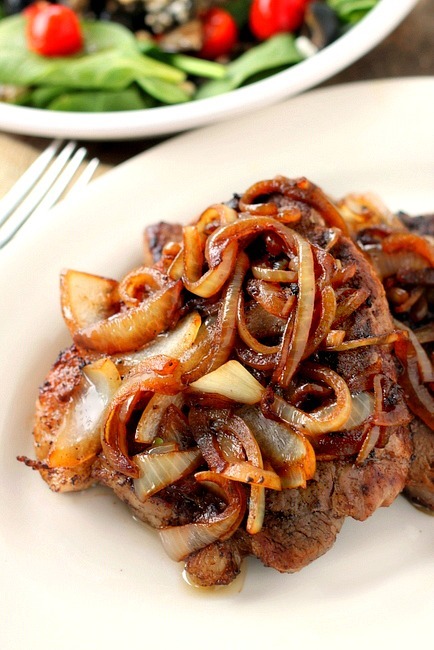 This smells amazing in my pan right now but… I wasn’t sure when you added the onion. Can you add that please? Thanks. I will update once we have eaten it. But it smells amazing !! Oh my gosh! I will definitely do that Lia, thank you!